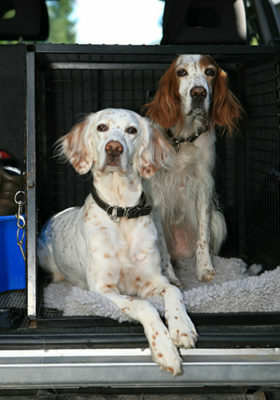 Home arrow_forwardWP Blog Home Page - Main blogarrow_forwardIs Your Pet Safe in the Car? 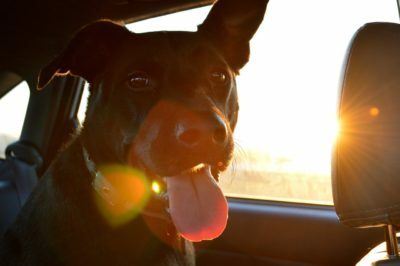 Do you know how to keep your pet safe in the car? One driver had a harsh realization after being in an accident. He was alone when the accident happened but what if his dogs had been in the car with him? Would they have suffered the same injuries as their owner or even worse? The safest way for your dog to travel in the car is in a crate that has been anchored to the vehicle using a seatbelt or other secure means. Dog restraints or seat belts are useful for preventing your dog from roaming around the car and being a distraction to the driver, but they haven’t been reliably shown to protect dogs during a crash. Stop frequently to allow your pet to exercise and eliminate. But never let your pet leave the car without a collar, ID tag and leash. Whenever possible, share the driving and pet caretaking duties with a friend or family member. You’ll be able to get food or use the facilities at rest stops knowing that someone you trust is keeping a close eye on your pets. A quick pit stop may feel like no time at all to you, but it’s too long to leave your pet in a car by themself. Heat is a serious hazard: when it’s 72 degrees Fahrenheit outside, the temperature inside your car can heat up to 116 degrees within an hour. On an 85-degree day, even with the windows slightly open, the temperature inside your car can reach 102 degrees in just 10 minutes.